Oregon is widely perceived as a national leader in health care reform and health system transformation, but the reality for most Oregonians is that health care remains expensive, poorly coordinated and a source of anxiety for far too many. Oregon’s Consumer Voices for Innovation team, a partnership between OSPIRG and Unite Oregon, is working to change that. We think the first step is advocacy and organizing to elevate the voices of consumers struggling in Oregon’s health system – collecting and sharing their stories, and advocating for policy change to open up the processes of health system decision-making to more meaningful patient and community input. While Oregon has pushed forward with an ambitious Medicaid payment and delivery system reform agenda, and has achieved some important successes, most Oregonians simply aren’t seeing the kinds of changes that were promised. At the statewide level, Oregon’s Medicaid program has been dramatically restructured through the establishment of a system of regional Coordinated Care Organizations (CCOs), each with a global budget, held accountable to a set of health outcome measures for a defined population. Oregon health advocates supported this reform for its promise to improve outcomes for consumers, but despite the lofty rhetoric about transformation and some interesting small-scale experiments, the ground-level experience of care has barely changed for most Oregonians. To push for the kind of change Oregonians really need to see, our team has adopted a two-pronged approach. Unite Oregon has spearheaded a unique grassroots organizing campaign in rural Southern Oregon aimed at building a base of engaged consumers that can demonstrate the power of consumer engagement at the local and regional levels, which we believe is of paramount importance given the diffuse structure of Oregon’s health reform efforts through the CCO system. OSPIRG has focused on pushing for statewide policy reforms to make the CCO system more transparent and responsive to consumer input, working with state legislators, regulators and the state Medicaid agency, the Oregon Health Authority, as well as our statewide network of members and supporters. As we advanced our organizing and advocacy work over the course of 2017, our team collected many stories from Oregonians to illustrate what the state’s health system transformation means for real people’s lives. Celine B., a special education teacher in Central Point, shared the impact she has seen in her students’ lives from Oregon’s investments in new ways of providing health care and other key services to young people with disabilities, including a former student who has been able to live independently for the first time through a Medicaid-funded supportive housing program. She also shared her observations about the impact of Medicaid expansion and transformation efforts on school-based health centers in her region, which have seen substantial investment and new hires to provide much-needed mental health and other services. In addition to improving access to needed services, she’s seen these investments free up her colleagues and herself to focus more on teaching. Celine, who has been diagnosed with an extremely rare form of eye cancer, is also personally reliant on the ACA for access to affordable coverage and remains anxious about the future of the law. 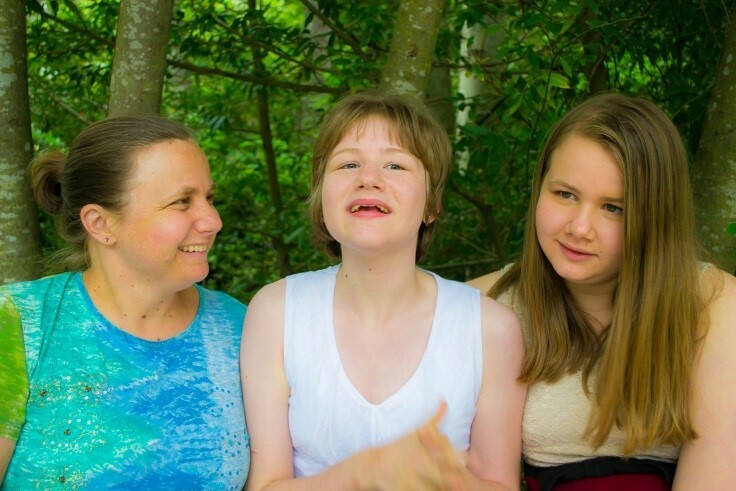 For 15 years, Lisa T. has been the primary caregiver for her daughter, who experiences epilepsy and cerebral palsy. Since the advent of the ACA, her daughter has been able to access not just basic health coverage, but – thanks to Oregon’s efforts to transform the delivery system – other critical, life-changing services such as the help of a personal support worker, transportation services, mobility devices and a range of wraparound services that have enabled her to be more independent and more engaged with her community. In turn, this has made it more viable for Lisa (currently self-employed) to pursue employment outside the home, now that she no longer has to provide support for her daughter 24/7. Since the debate about the future of the Affordable Care Act (ACA) and a vote on a ballot measure with high stakes for Oregon’s Medicaid expansion funding overlapped with our work, this effort also served to help illustrate the profound impact of Medicaid and the ACA in Oregon. To help clarify the stakes in the ACA debate, our team shared many of the stories we collected with Oregon’s Congressional delegation – especially Oregon’s sole Republican Congressman, Greg Walden, whose district encompasses the Unite Oregon organizing effort in Southern Oregon. One of the most basic themes running through these stories is the sense of financial security that comes from having health coverage, and how transformative that can be. Sarah W. from Phoenix (OR of course, not AZ) shared her experience with having to cut her epilepsy medication in half, have teeth extracted instead of fixed, and otherwise going without needed care until she was able to purchase affordable coverage under the ACA. Alex S. shared that obtaining access to Medicaid under the ACA expansion made it financially realistic for the first time for him and his wife to start a family, and they are expecting their first child in May. Gaelen T. shared that her access to Medicaid under the ACA helped save her family from bankruptcy when she was diagnosed with extreme gestational diabetes and had to be hospitalized twice during her pregnancy with her son. What comes through loud and clear from all these stories is not just the life-changing impact of gaining health coverage, but the importance of understanding access to health care and other services in the context of a person’s entire life. Each of these Oregonians – like most people – understands it that way intuitively, but unfortunately our health care systems do not always reflect this insight. The stories demonstrate the kind of progress we can make when a person’s needs are taken into account holistically. Unfortunately, there are countless examples of failures to do this, especially for Oregonians struggling with mental health, addiction, homelessness and other difficult issues often siloed off from the health care delivery system. The scope of the problems remains daunting, but our team has made some important progress in the past year. Unite Oregon has built a strong base of consumers engaged in health care advocacy, built a new regional coalition dedicated to advancing health equity, built lines of communication with local and regional health system leadership, and placed several grassroots community activists on key boards and commissions. OSPIRG successfully pushed for the passage of House Bill 4018, which creates new transparency requirements for Oregon CCOs, enables greater consumer and community representation on CCO boards, and will increase CCO investments in addressing the social determinants of health. As we continue to make progress to give consumers a stronger voice within these systems, we hope to leverage that progress to achieve concrete reforms to improve health outcomes, advance equity and address the social determinants of health. We’ll keep you posted.